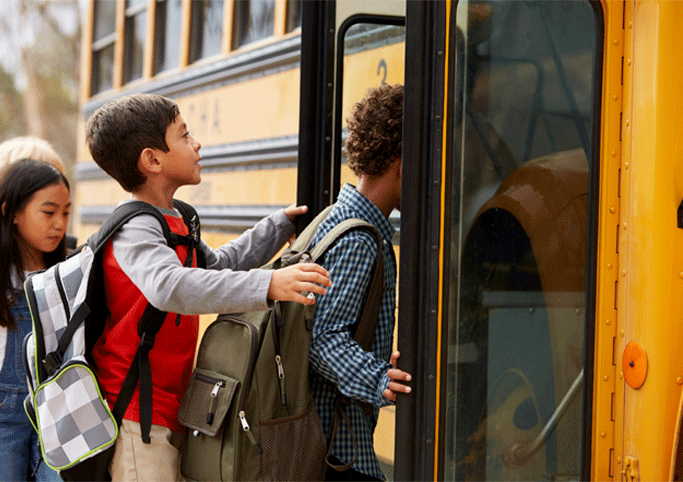 The STI Cares Foundation (STI Cares) is the new philanthropic arm of Student Transportation Inc. (STI), North America’s most trusted and largest independent provider of student transportation services. We aim to increase educational opportunities for the students we transport, care for our employees in times of hardship, and make gifts to charitable organizations that are already contributing positive change in our communities. The STI Cares Foundation is incorporated and is a tax-exempt charitable organization under section 501(c)(3) of the Internal Revenue Code. Founded in 1997, STI is North America’s largest independent provider of student transportation and management services available, partnering with over 300 customers and operating more than 13,500 vehicles. STI’s family of local companies delivers safe, reliable and cost-effective transportation, management, logistics and technology solutions to a wide range of customers throughout the United States and Canada. Services are delivered by drivers, dispatchers, maintenance technicians, terminal managers, information technology professionals and others who are caring members of their local communities.